A work site the size of the new Champlain Bridge comes with its share of challenges. Given the large number of workers and nature of the project, safety is not only a priority but part of our DNA. Since the spring of 2016, construction activities for the new Champlain Bridge have intensified on the water with the installation of the marine foundations, precast segments, pier caps and box girders. For months now, the Saint Lawrence River has been the stage for a massive choreography, with barges, tugboats, heavy machinery and equipment moving about. That is why a marine rescue team patrols the waters between the west jetty on L’Île-des-Sœurs and the cable-stayed bridge jetty when operations are under way. 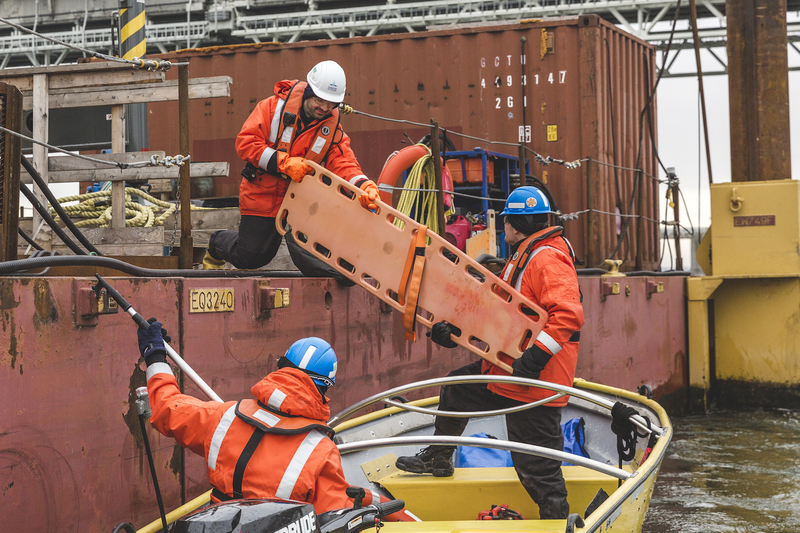 The rescue team is made up of 12 marine rescue workers, divided into four units to provide a rotation and coverage during work periods. 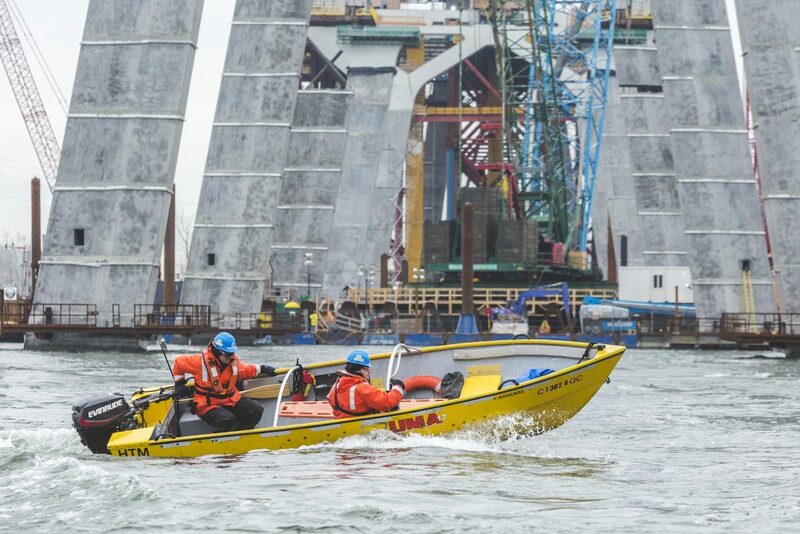 They use two types of boats intended specifically for water patrol: the 17-foot dinghy with a rigid hull and the “UMA 17” technical craft. 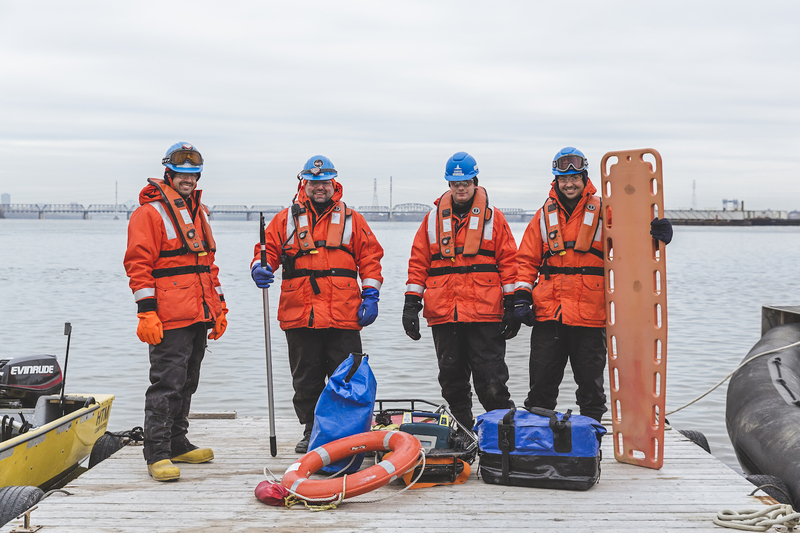 Réal Desrochers, marine rescue team leader and boat captain: “The latter craft is the top of the line for navigating on the river in winter conditions. Safe and approved by Transport Canada, it takes us quickly and easily where we are needed, even when there is ice. 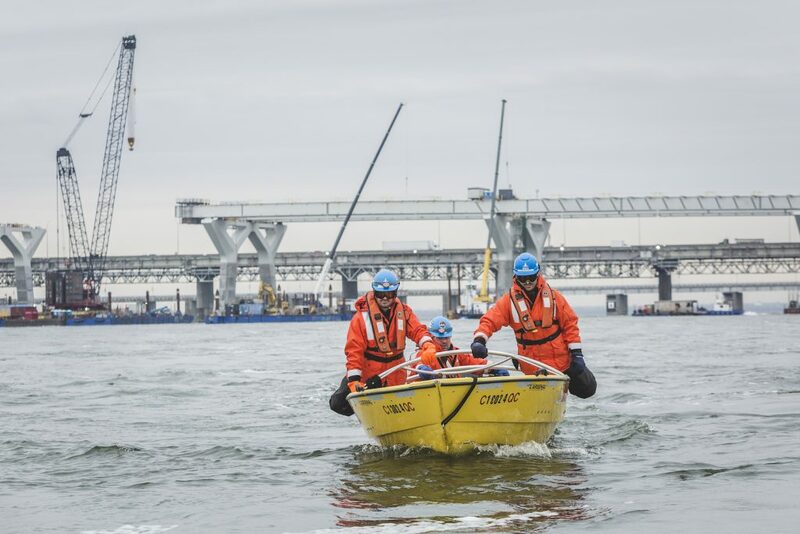 Obviously, working on the Saint Lawrence, with its powerful currents, means access to the job site is always a bit of a challenge.